If you, like more than 70 percent of homeowners, use the garage door as your main entry, then you’re giving it a daily workout: up, down; up, down; up, down. With all that activity, the biggest, heaviest door in your home—much like the human body—needs regular checkups and maintenance. 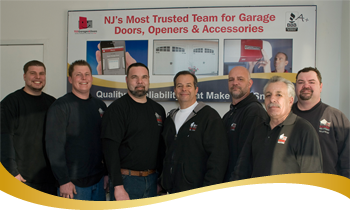 If your garage door starts grinding, bouncing, or refusing to raise or lower, the door could inflict bodily harm and/or jeopardize your home’s safety and accessibility. It’s time to call in the experts. Damaged doors due to “collisions” i.e. golf carts, bikes, campers, etc. We use top-quality parts and hardware, and our repairs are backed by our exclusive, risk-free guarantee. Plus, no work begins until we’ve completed our 18-point inspection and discussed our recommended repairs—and their cost—with you. If you agree to move forward, we can typically complete the job that day. When is it Better to Repair your Garage Door Opener? Click Here for a location near you or Click Here to send a message.